What Is Biofeedback Therapy And How Biofeedback Therapy Work? Biofeedback is formed on the concept of mind over matter. The basic idea is that, with proper techniques, you can change your health by staying mindful of how your body reacts to stressors and other stimuli. It allows you to get control over and when it comes to drug addiction and alcoholism, it fits the best. Using this therapy for drug addicts will help them controlling all the processes they might not be controlled yet. Biofeedback therapy helping recovering addicts gain control over their mind and body during treatment. The purpose of biofeedback is often to make definite changes to the body that result in the desired effect. It might include relaxing specific muscles slowing heart rate or respiration or reducing feelings of pain. Various treatments can be made using this therapy. By doing this, people are usually able to develop their physical, emotional, and mental health. Biofeedback information might be relayed back to recovering addicts in the form of pulsing sounds, images or flashes of light. This information helps them use relaxation exercises to control how their body responds to stressful situations like withdrawals and cravings. For example, biofeedback can also be practiced to revive people better manage the symptoms of addiction. Biofeedback is especially useful for handling stress as well as symptoms of conditions that may be exacerbated by stress. For example, therapists might apply biofeedback to help patients control their response to stress. The chronic stress of addiction can have a wide range of adverse health effects including diminished immunity, heart disease, depression, digestive problems, and sleep disorders. By determining how to manage the stress response using biofeedback, patients can reduce the harmful physical and psychological effects of addiction. Electrical sensors that correlate to a monitor will be pinned up to your body. The sensors hold one or more signs of stress. It can include heart rate or body heat. The measurements give feedback about how your body replies to different stimuli or addictions. 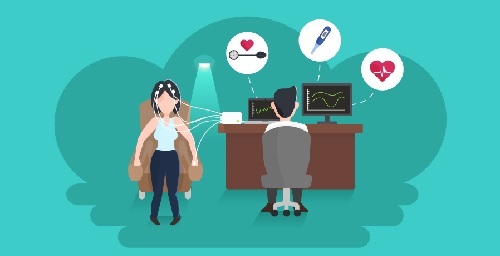 A biofeedback instructor or therapist can teach you how to reduce your heart rate through breathing practices, relaxation methods, and mental conditioning. You can estimate the results of these techniques and activities on the monitor. This treatment program promotes more positive feedback and relaxation. The 12 step program is working for a lot of people to cope with addiction. The biofeedback therapy is analyzing what is going on in the body of a drug addict. A typical biofeedback session lasts for 30 and 60 minutes. The number of courses needed to resolve an issue will vary depending on some factors, including how quickly you master to control your physical acknowledgments. Besides, there are also commercial biofeedback devices available on the open market that is meant for home use. There are devices with handheld screens and others that connect to your computer. Still, you should be cautious of scams. Be sure to check with your initial care provider before buying one of these devices. Not all companies are reputable. An exercise in which improving addicts focus on liberating tension in over-tight tissues in the body, one muscle group at a time. An exercise that helps patients focused on releasing negative emotions and thoughts through peaceful concentration. An exercise that is directing thoughts toward calming, positive images and outlines to relax the mind and body. It is relaxing both mind and body with deep breathing techniques. People can cope with the cravings by taking a deep breath and holding all the temptations that are coming toward a drug addict. EEQ therapy also acknowledged as neurofeedback is a predecessor of biofeedback therapy that attempts to calm over-stimulated brain activity. Over time, sustained use of drugs and alcohol can disrupt normal brain wave patterns. This abnormal brain activity is linked to anxiety, depression and other emotional issues that might trigger a relapse. EEQ can help restore brain waves to healthy, pre-addiction levels. Combining it with other addiction treatment therapies and EEQ can give recovering addicts the coping skills to tackle relapse. The biofeedback therapy is available in both inpatient rehab and outpatient rehab as per the requirements of the patients. For living a drug-free life go for treatments and remove drugs from life.